The Theatre held an October 17 ceremony to officially receive the title. In 2006, it was acknowledged as Vietnam’s sole art unit performing live shows all year round. Thang Long Water Puppetry Theatre Director Nguyen Hoang Tuan its shows embrace traditional Vietnamese values, the root of the uniqueness that has earned the theatre domestic and international acclaim. Over the past two decades, the theatre has expanded to offering an average of five shows on each of the year’s 365 days. 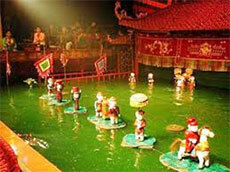 The theatre is currently preparing to participate in the 4th International Water Puppet Festival next year.